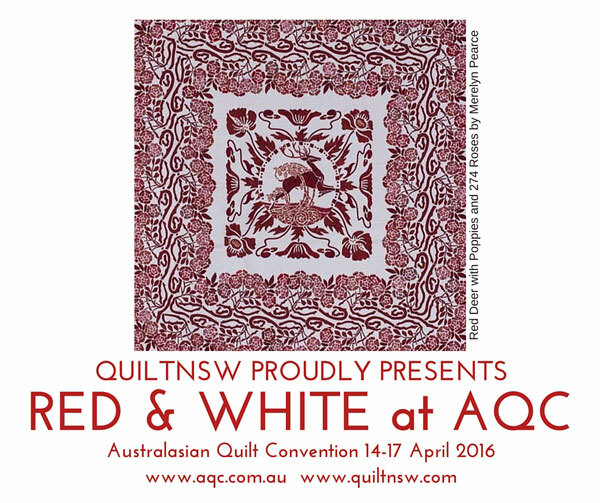 At the Sydney Quilt Show 2015, QuiltNSW held a special themed Red & White exhibit and created a spectacular display. A selection of these red and white quilts will be on display at the Australasian Quilt Convention 14-17 April 2016. You can also view all of the red and white quilts from 2015 online in the Red & White Online Gallery.